This is an internet-based, instructor-led distance-learning program for professionals in either occupational health services or occupational hygiene. The Great Lakes Center, a World Health Organization Collaborating Center, within the University of Illinois Chicago houses the Program. After 7 years, GPOHP has successfully certified more than 100 professionals from around the globe. The program fosters competence in practical and immediately usable skills. The recognition and prevention of occupational diseases, control of occupational risks and prevention of accidents are the main focus of this program. GPOHP specifically addresses company-level competencies so that health professionals will effectively contribute to the protection of employees and the goals of companies. We would be happy to see you in the program! To view our brochure GPOHP Poster_2018-9_Final and learn even more about the Program. Participants will receive a "Certificate" of successful completion for each individual course. After completion of all three courses, participants will receive the "Global Certificate in Occupational Health Practice" from the School of Public Health, at the University of Illinois Chicago (UIC), USA. Participants can also receive credits towards the "International Occupational Hygiene Certificate-Intermediate Level" of OHTA (Occupational Hygiene Training Association). IMPORTANT – PLEASE READ THESE TERMS AND CONDITIONS CAREFULLY. 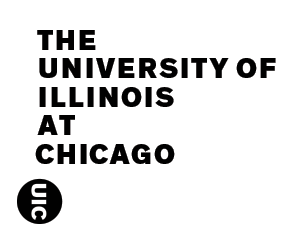 This is a legal agreement between you and The Great Lake Centers ("GLC") and The University of Illinois at Chicago (“UIC”) that governs your use of any GLC online course and any associated documentation or other materials made available by GLC. The “Online Course” refers to any one course. The “Certificate Program” refers to three “Online Courses” resulting in a certificate. By using this web site, you agree to these terms and conditions of use. If you do not agree to these terms and conditions of use, you are not authorized to access and use this web site and you must exit this web site immediately. We reserve the right, in our sole discretion, to change, modify, add or remove portions of these terms and conditions at any time. Any such changes or modifications shall become effective immediately upon posting. It is your responsibility to periodically check these terms and conditions for changes. Your continued use of this site following the posting of such changes will signify your acceptance of those changes. The course uses a web-based content management and teaching platform. Participants need to access the internet weekly. The internet will be intensively used to search and find information to solve company problems. For participants who do not have a broadband connection, efforts will be made to provide the course material and the assignments in suitable way for slower internet connections. Capacity for scanning, email, up-load of digital pictures is therefore required. Participants need to be able to scan documents, send emails, produce short videos and up-load digital pictures. This training can be done while working full time. The program requires approximately 10 hours per week (on average) for reading, practical exercises and assignments. Participants need to be proficient in English as all teaching and communication is conducted in English. However participants can return their completed assignments and communicate with faculty in English and Spanish. The program uses a professional, academic, web-based, teaching platform. Course modules provide reading assignments, point to resources on the internet, and give practical assignments to strengthen competence and skills. Instructors provide individual feedback to each participant on the quality of work and suggest specific improvements. Group discussions on the course website for exchange of experiences provide a creative environment for interactive and challenging learning. Participants have access to thousands of professional journals via the online university library. Extensive resource pages with links to standards, guidelines, professional organizations and legislation will be part of the professional course platform. Assessment will be done with a portfolio technique, which includes a mixture of products that a participant needs to create to pass, such as assignments, checklists, reports (e.g. workplace evaluations) and online tests. A final project paper is not required for the completion of the programs in Occupational Health or Occupational Hygiene. However, if a participant wants to work on a project to address a specific problem in his or her company, the participant will receive individual coaching and supervision for the project. An average workload of about 80 to 100 hours for such a project is assumed. After completion, the participant will get the addition of "passed with distinction" in his or her final certificate or the already issued certificate of completion will be amended. For the additional individual coaching a supplemental fee will be charged, see the fees section. A participant who wants to get the “International Occupational Hygiene Certificate, Intermediate Level” of the Occupational Hygiene Training Association (OHTA) (in addition to the UIC certificate) needs to complete a project paper besides other requirements (see Certificates below). Material is available as computer based files. Medical personnel are advised to purchase an Occupational Medicine textbook. For a project in Occupational Hygiene, participants need to have access to instruments and measurement equipment, such as a noise level meter, sampling pumps, sampling media, analytical instruments or direct-reading instruments. Not all of these instruments are required for each project.